Do you have a gorgeous hibiscus bush in your yard? If so, you can collect the flowers, dry the petals, and make your own hibiscus tea! Simply remove the petals from freshly opened hibiscus flowers, leaving pistil (comprised of the stigma, style, and ovary) in the center behind. Rinse the petals gently in a strainer. 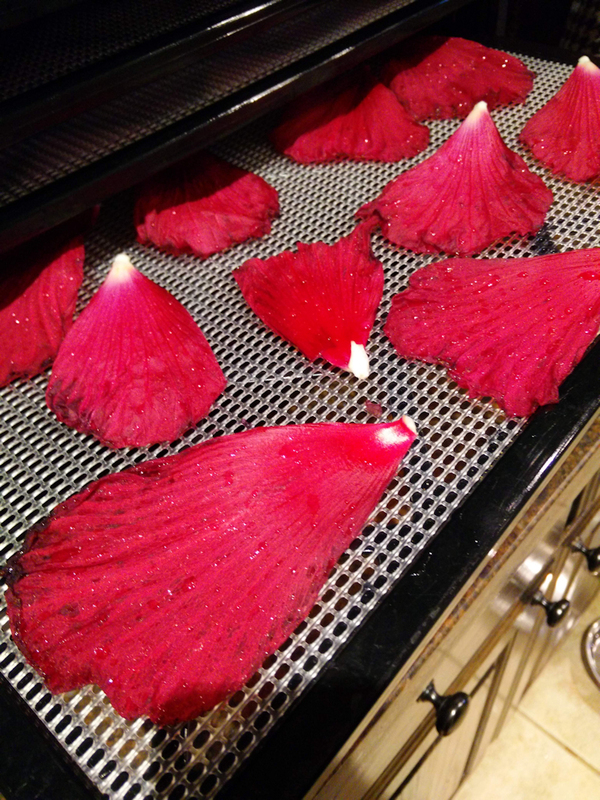 Then, place them on your dehydrator grid and dry at around 100 degrees F until fully dry and lightly crispy. To use the petals to make tea, simply boil water in a saucepan. Turn the heat off, add the dried petals (along with lemon or other flavorings you would like to add), cover the pot and steep for about 15 minutes. Don't go any longer or the tea will be bitter.